The White River Regional Solid Waste Management District is one of eighteen districts across the State of Arkansas. 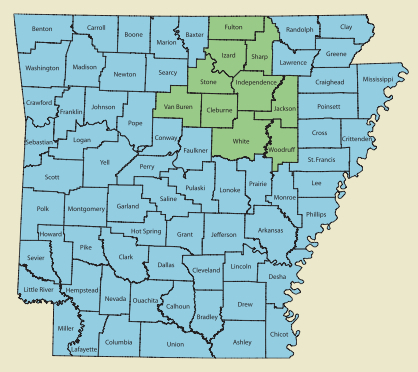 The District service area includes the ten counties of Cleburne, Fulton, Independence, Izard, Jackson, Sharp, Stone, Van Buren, White and Woodruff in north central Arkansas. It is governed by a twenty-five member Board of Directors consisting of the ten county judges, the mayors of the District’s cities with a population over 2,000, first class cities and the largest city in each county within the District.